Want to extract audio from video? Sometimes you hear a great tune in a movie and think that piece of music would fit perfectly into your own project. But how to get it from the video and save it as a separate audio file? With the help of multimedia processing software, of course. Use Movavi Video Converter to extract the film score and add it to your clip. 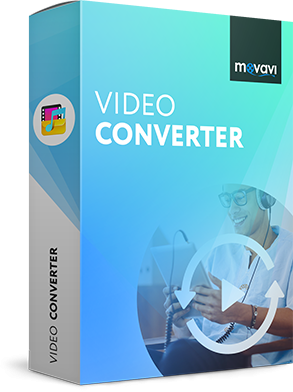 Movavi Video Converter supports over 180 media formats. 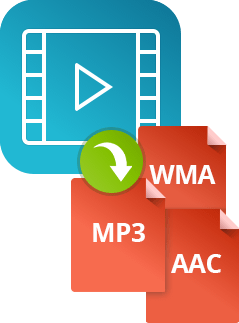 You can use it to extract audio from MP4, AVI, MKV, FLV, 3GP, MPEG, MOV, WMV, VOB, and other video file types. Our step-by-step guide will teach you how to easily rip audio from video on PC or Mac! Open the downloaded file, install and launch the program. The converter interface is easy to navigate, even for first-time users looking to extract music from films. Click Add Media in the upper left corner of the program interface, then Add Video and choose the file you want to rip audio from. 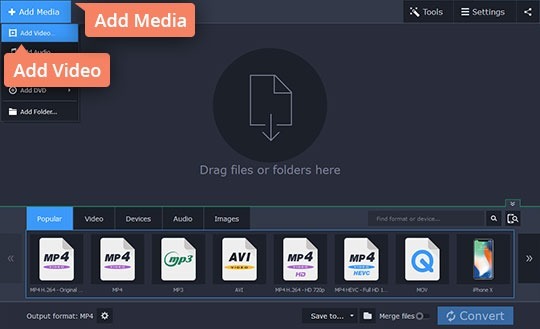 Movavi Video Converter can process multiple files at once, so take as many as you want. You can skip this step if you want to extract the entire audio track. If you want to record only part of the soundtrack, choose the file from the list and click the Edit button. In the new window, drag the start and end points on the timeline to set the boundaries of the segment you want to exclude and click the Scissors icon. Delete the marked part by selecting it and hitting the Trash can icon. The program will convert the sounds from only the remaining part of the file. Once you’ve finished trimming, click Done. Click the Audio tab to select a suitable format: MP3, M4A, WAV, WMA, FLAC, AAC, or OGG. You can customize the bitrate of any audio profile. Just remember: the higher the bitrate, the larger the output file. 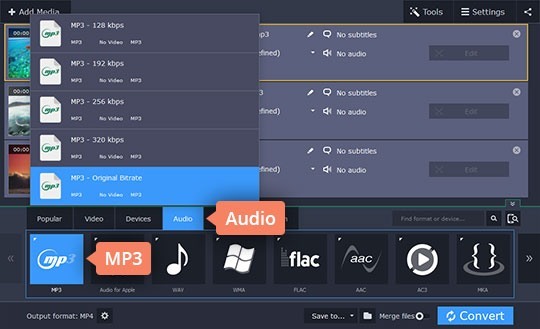 Choose the desired Save to folder, then click Convert and wait until the converter has finished recording audio from the video (it won’t take long). Once the process is complete, the folder containing the converted audio files will open automatically. Choose the Save to folder and click Convert. 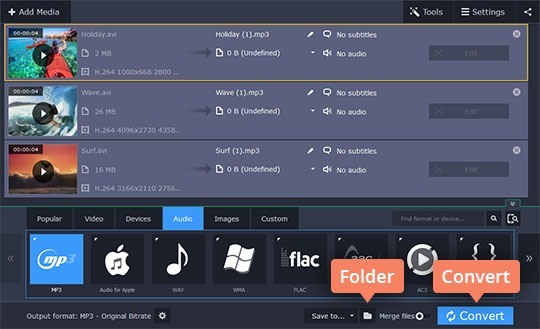 Once the audio file extraction process is complete, the output folder will open automatically. It’s easy to pull music from a movie when you use Movavi Video Converter as an audio extractor! 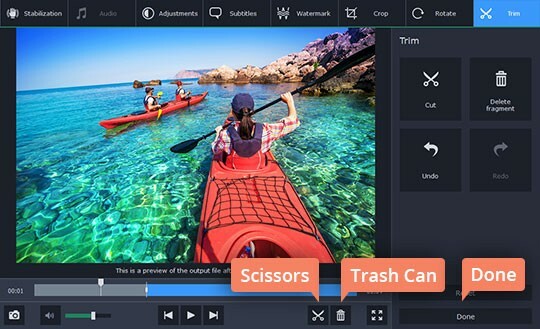 If you’re looking for more editing capabilities, try Movavi Video SuiteMovavi Video Suite. It’s the ultimate toolkit, featuring the best of Movavi’s video processing software. Use it to edit video, burn CD, DVD, and Blu-ray discs, capture screens, convert video and audio, create clips and slideshows, split and join files, and much more!